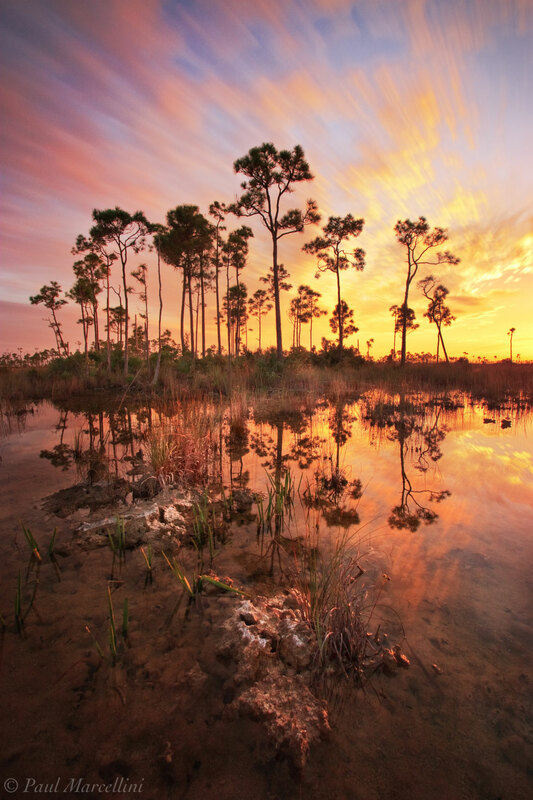 The Everglades has two seasons: wet and dry. In the dry season this area of pines will be completely dry and cracked. A long exposure during peak color of sunset allowed the moving clouds to streak through the sky, adding some movement to the image. Photo © copyright by Paul Marcellini.